A beautiful design html5 flipbook template has a vital role to play in publishing page flipping book. If you take good use of html5 flipbook templates while you are creating page flip book, digital catalog, digital brochure, you will get double results with half the efforts. On one hand, apposite html5 flipbook template can help capture users attention with ease; on the other hand, a html5-based flipbook templates is responsive enough to adapt to different screen sizes on any devices. PUB HTML5 is great page flip software for transferring PDF, MS Office file and images into realistic page turning digital publication. In order to make users to get start to use PUB HTML5 and create gorgeous html5 flipbook quickly, PUB HTML5 provides multiple html5 templates choices for users to enrich html5 digital publication completely. 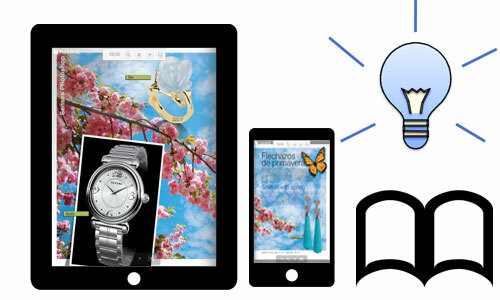 Since it is html5-based which means the flipbook templates is responsive and can be adapted to different screen size. In other words, it will be compatible with any devices such as desktop computer, tablets and smart phones. PUB HTML5 provides over 10 wonderful html5 flipbook templates and over 12 themes for users to enrich your stylish page flipbook. 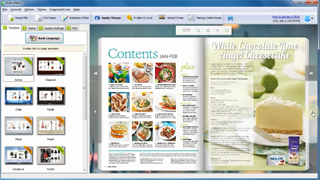 All templates are with different features to display your flipbook. Anyway, if you would like to authorize your customers to use some functions of your page flip book, you can make the function button show on toolbar with ease. Responsive design is one of the most popular features of html5 flipbook templates. On one hand, it can help you to reach more mobile users by distributing page flip book on mobile devices; on the other hand, it will help you enhance SEO because all users are directed to the same site. With PUB HTML5, there is no need to worry about the compatibility in different browsers and platform. Thanks to the html5 and jQuery technology, your page flip book with html5 flipbook templates provided by PUB HTML5 will deliver comfortable reading experiences on desktop, tablets and smart phones. >> Next Paper: Your Ultimate Shopping Flyers Maker, Create & Make High Quality Brochures, Flyers, Pamphlets & More Using Professionally Designed Brochure & Flyer template.